Setting rules in dog training, as you may expect, is very important. However, what you may not expect is that the very first rules that should be identified when considering adding a dog to your home, or when addressing problem behaviors with your current canine, are rules for you! Animal Planet pet expert and dog training book author Andrea Arden believes that the starting point of a successful relationship with your dog begins by setting rules for yourself. How are you going to help your dog become the best dog she can be? It’s important to examine your lifestyle and expectations to determine what you’re looking for in a dog, and how you’ll fit a furry friend into your family. Setting rules in dog training begins by taking time to consider how you are going to approach teaching and caring for your dog, because if you don’t have a clear idea of what your expectations are in advance, it’s really not fair to expect your dog to follow rules you’ve never fully outlined or explained in a way dogs can learn and understand. After all, that’s what training and management are all about – clearly communicating your boundaries and wishes and then guiding and motivating your dog to set them up for success. Having a well mannered, or to use a more old fashioned term, obedient dog comes down to setting realistic expectations and then taking the time to teach your dog how you want her to behave. Often, because dogs do so many amazing things for humans, such as search and rescue or assistance dog work, and because of childhood fairytale stories of wonder dogs such as Lassie and Bolt, people tend to forget that dogs don’t come pre-programed to do our bidding. Nor do they arrive at our doorstep rulebook in tow. Additionally, things dogs do naturally often aren’t things we find desirable, or even tolerable. So, while setting rules in dog training is important, ultimately when a dog is untrained, or unmannerly it really is the fault of the owner. Remember, your dog’s behavior is a reflection of you and of the time (or lack thereof) you’ve put into training and explaining. It’s crucial to keep this in mind, because when a dog “misbehaves” people tend to get very frustrated and either begin to get angry and want to punish their dog or, in many cases just give up on her entirely. The shelters are full of dogs whose humans have failed them. 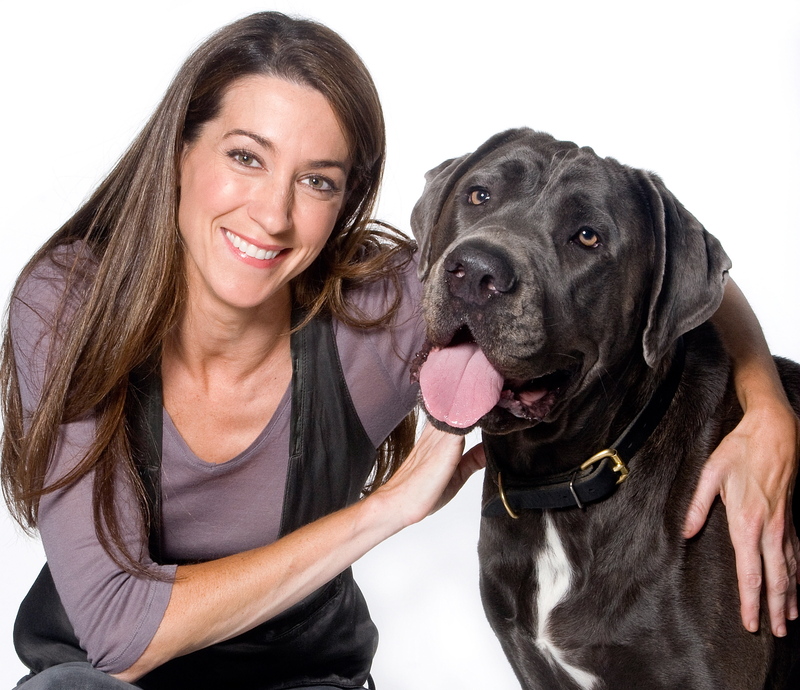 Please join me and Andrea as we dissect what setting rules in dog training really means, where the breakdown in relationship between dogs and people begins, and the top five realistic expectations of life with dog. If you’d like to hear more from Andrea you can read her new book, “Barron’s Dog Training Bible” , or look her up on her website AndreaArden.com. This entry was posted in Kelly Gorman Dunbar, Leadership/Motivation/Counseling, Training and Behavior on November 14, 2011 by Kelly Gorman Dunbar. I set rules with Jen when she tries to train me!